Jackie Evancho performing in a 2013 concert. Photo: Joan Hall and Wikipedia. The Pittsburgh music scene is giving all of us some very pleasing concerts for the holiday season. One of the top acts this month is angel-voiced hometown gal Jackie Evancho who will be in concert at The Palace in Greensburg. 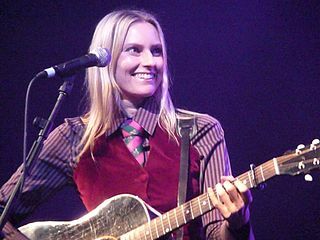 Another very talented singer of the female persuasion is the melodic and thoughtful rocker Aimee Mann. She plays a sold-out show at Oakland’s Carnegie Lecture Hall. Melissa Etheridge visits us too. Soul rocker Jeffrey Osborne makes a rare, and very welcome, appearance in Pittsburgh this month. He had a successful run with L.T.D. in the 1970s, then took off on his own wings for a hot solo career. Noted pop/rock singer Michael Bolton will also be hitting the ‘Burg (Greensburg) this December. The holidays in Pittsburgh would not be complete without an appearance by Trans-Siberian Orchestra and their creative holiday rock production numbers. Rapper Lecrae and rockers Casting Crowns and for KING & COUNTRY will put the Christ in Christmas with their concerts. The Hometown Heroes front is loaded with many great shows. Local musicians are teaming up for special concerts including: Pittsburgh Plays Petty, Home for the Holidays, Phat Man Dee and Liz Berlin’s Social Justice Disco, and Clinton Clegg and The Commonheart’s tribute to the late great Daptone Records artists Sharon Jones and Charles Bradley. Don’t say “Bah Humbug,” get out there and engage in some musical revelry. Enjoy our highlighted concerts or some of your own choosing and have a great holiday season! Her work has included numerous singing appearances, acting roles such as playing Robert Redford’s daughter in the 2013 film The Company You Keep, and some modeling. She is active in many charitable organizations and was named one of the Ten Best-Mannered People in 2011 by a national organization. Needless to say, Kanye West didn’t make that list. Evancho will be performing Hits and christmas songs. What a great opportunity to see a hometown gal done good. 8 p.m. Palace Theatre, 21 W. Otterman St., Greensburg. Casting Crowns and for KING & COUNTRY will co-headline the PPG Paints Arena for A Glorious Christmas Tour. From student-worship band to arena act, independent albums to Billboard’s top-selling Christian music act since 2007, Casting Crowns have risen meteorically since forming in 1999 in Daytona Beach, Florida. Meanwhile the members, now based in Georgia, haven’t forgotten their roots. Every one still works “in ministry in their respective churches,” according to the band’s website. This includes frontman Mark Hall. “Oh My Soul,” from 2016’s The Very Next Thing, addresses his earlier cancer diagnosis. Casting Crowns broke with their self-titled 2003 album, which went platinum. They released an EP, It’s Finally Christmas, this year. Aimee Mann having fun in a 2008 concert at Manchester Academy. Photo: Andy (6tee-zeven) and Wikipedia. Christopher Maggio (CM) and Mike Vargo (MV) made substantial contributions to this guide.